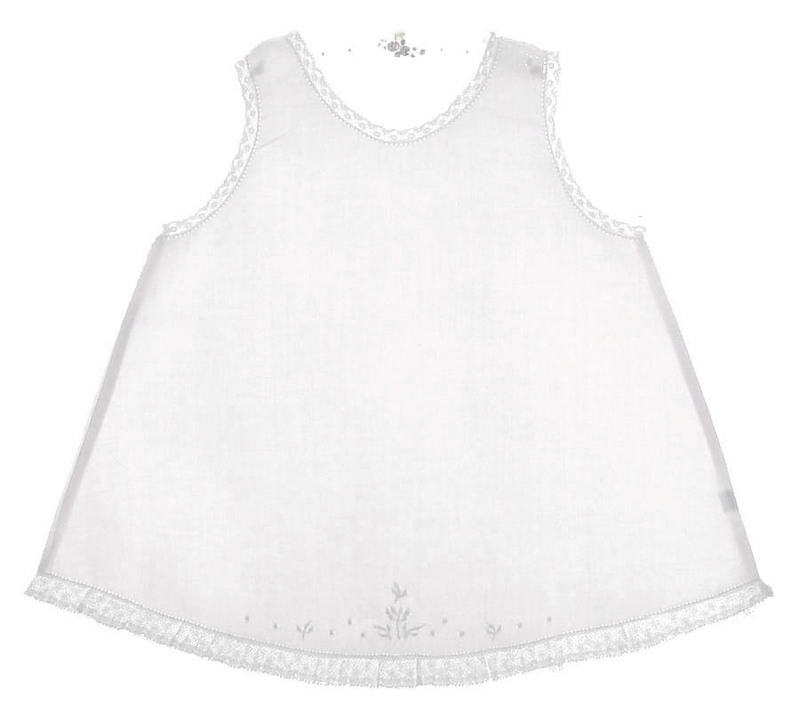 This lovely little heirloom style white cotton blend baby dress is made by Feltman Brothers, a top designer of quality baby garments. It features a beautiful bodice with tiny pintucks falling from a v-shaped embroidered yoke. The round neckline and short puffed sleeves are edged with soft white lace. Above the deep 4" hem, the dress is beautifully embroidered between rows of lace insertion. The back of the dress has rows of pintucks centered by a two button closure. The matching slip with embroidery and a delicate lace trimmed hem can be worn alone as a sweet summer sundress. 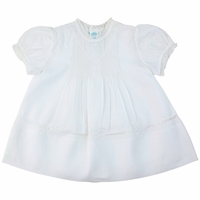 Note: This beautiful little dress is also available in pink and blue. See below.